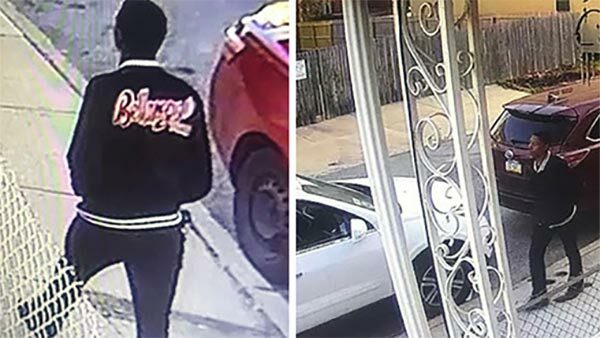 GERMANTOWN (WPVI) -- Police are investigating a robbery pattern that is occurring in the Germantown neighborhood of Philadelphia. The first incident happened on November 20 around 4:15 p.m. on the 400 block of East Washington Lane. The suspect got away with a cell phone and three dollars. He's described as 18-20 years of age, with a chipped upper front tooth, 6'0", 140 lbs., brown complexion, thin build, wearing a green and black hooded sweatshirt and gray pants. The second incident also occurred on November 20. Police say the victim was on the 6300 block of Chew Avenue around 4:35 p.m.
An unknown black male approached the victim and allegedly pulled a handgun and ordered the victim inside a vacant garage nearby. Police say once inside the garage, the suspect took the victim's iPhone 6 then fled. He's described as 18 years of age, 5"11", dark complexion, wearing a green puffy jacket, black pants, and black sneakers. The third incident happened on November 26. Police say the victim was on the 4000 block of East Pleasant Street around 4:40 p.m. when the suspect allegedly pulled a handgun and forced the victim down an alleyway. Police say the victim was forced to remove their clothing and then was sexually assaulted. The suspect is described as a black male, late teens to early 20 years of age, 5'10"-6'0", thin build, wearing a black jacket with white striping on the collar and waist and a red lettered logo "Bellargo Piarge" on the back, and blue jeans.